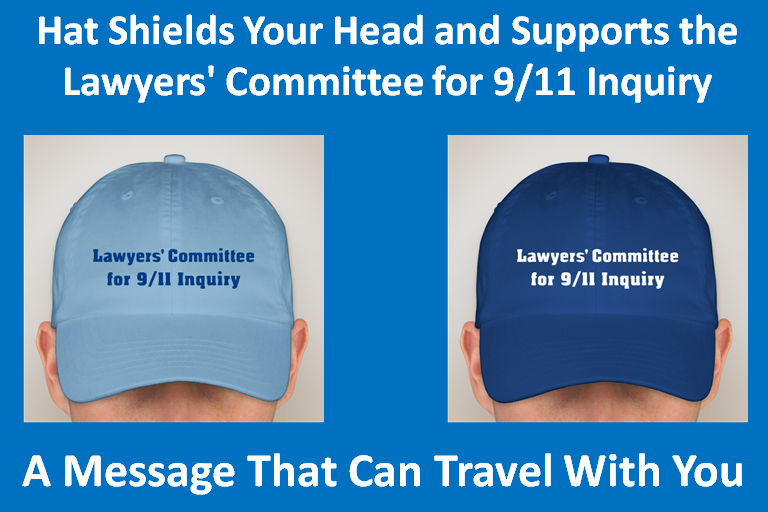 The Lawyers' Committee for 9/11 Inquiry has launched a hat campaign via Custom Ink to raise needed funds to support their efforts. Recently, a related fundraising campaign featured a tee shirt and now you have the opportunity to obtain a hat that matches. With this hat, you can wear a message on your head that will shield it from the sun at the same time it helps to shield us using our Constitutionally protected means of legal recourse. This campaign has just been launched and you can be among the first to display this message. The campaign needs a minimum of 19 hats to keep the campaign going, so please be the first to order yours. Orders taken until September 15th. Help us help you achieve a new independent, comprehensive Congressional investigation. The 9/11 Truth Action Project (9/11 TAP) is a new organization that grew out of the aspirations for grassroots action expressed by several previous 9/11 Truth groups. 9/11 TAP’s mission is to build and mobilize a global grassroots movement to create a groundswell of civic support that achieves transparency and accountability for the crimes of 9/11, justice for its victims, an end to unwarranted wars, and restoration of our civil liberties.